This live webinar was on October 12… but don’t worry… you can still watch the recording!! Leaders high in EI are more likely to make better decisions, engage and influence more effectively, and create the right mood/climate for the job. Several studies link emotional competence in leadership to the ability to get work accomplished. Join our speaker as she discusses the concept of Emotional Intelligence and how it is essential in leading effectively. “Great leaders move us – they inspire, motivate, and energize us. How? 1Idenitify 5 domains of Emotional Intelligence (EI) that are essential in leadership. 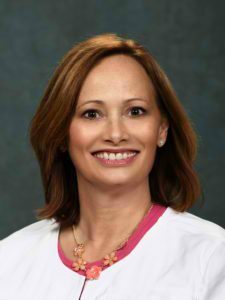 Pamela Spivey, MSN, APRN, CCNS, RNC-NIC, RN-BC is an Advanced Practice Registered Nurse and founder of Spivey Consulting, LLC. She shares her 33 years of expertise in neonatal nursing and leadership development as a national speaker, author and certified leadership coach. Her passion for the neonatal population and the healthcare professionals who care for them continue to drive her professional practice. This course is approved by the California Board of Registered Nurses, Continuing Education Provider Number 15417 for 1 contact hour.